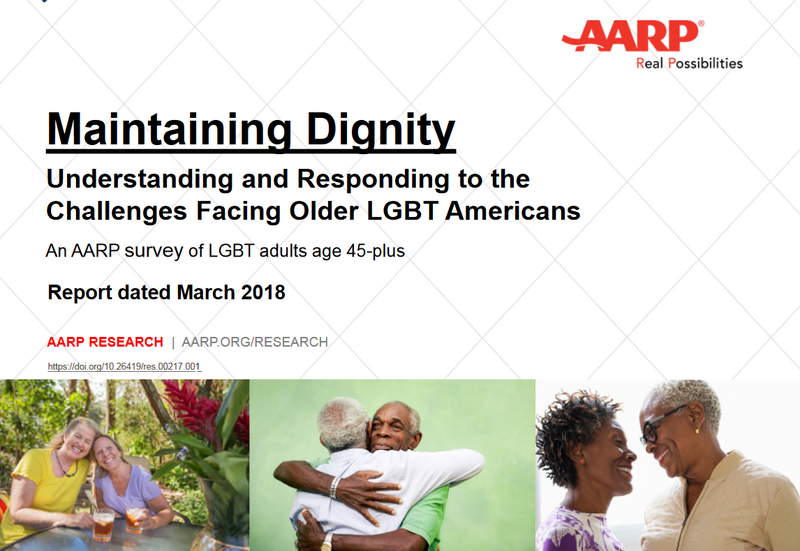 A recently released survey by AARP shows older LGBT adults worry most about three things: having adequate family and other social support to rely on as they age, discrimination in long-term care (LTC) facilities, and access to LGBT-sensitive services for seniors. The survey, “Maintaining Dignity: Understanding and Responding to the Challenges Facing Older LGBT Americans,” found that both gay men and lesbians have similar concerns about whether they will have enough family or other social support. However, gay men are more likely than lesbians to be single, live alone, and have smaller support systems, which may put them at higher risk for isolation as they age. Many LGBT publications have made sure they are serving older LGBT readers by featuring issues of concern to them. Philadelphia Gay News (PGN), for example, is the only LGBT newspaper with a regularly scheduled senior supplement, according to editor Mark Segal. In addition to the twice-yearly supplement, Segal says PGN has a regular column geared to the senior community. The “number one issue” for LGBT seniors is housing, affordable living, and “being able to live in a safe neighborhood,” Segal said. Editor Tracy Baim founded a group called Pride Action Tank, which hosted a major LGBT seniors summit last summer. Windy City Times also features interviews with aging LGBT activists, including a recent cover story about Gary Chichester. Chichester co-founded the Chicago Gay Alliance (CGA) in 1971 and served as its first president until 1973. CGA later opened the first LGBT community center in the city, started a newspaper, created an LGBT library, started a helpline and was instrumental in getting the first Pride parade off the ground. Boston Spirit magazine runs a monthly column called Senior Spirit, which is aimed at readers 55 and up. New York-based Gay City News has also ran many stories about the obstacles LGBT seniors face, including discrimination in housing. Editor Paul Schindler wrote a February 2015 column titled, “Our Seniors Need Housing and Community.” The newspaper has also featured several “first-person” narratives about the lives of LGBT seniors.